Mon. #1 is HERE. Please follow us on Tumblr or Twitter, subscribe to us on YouTube or like us on Facebook. Don't miss WWE Raw Highlight Clips later tonight! With the cheap plugs out of the way here's Monday's latest wrestling news. The YouTube subpocalypse is for real and my YouTube channel could use your support. I need 1,000 subscribers to survive and it's at 608 subscribers right now, an increase from when the bad news broke, but I still need 392 more. While the revenue generated is small compared to a Game Grumps or a NoDQ it's still very much necessary to keep our operation running. Please subscribe to Mistah MegaManFan and help me out! 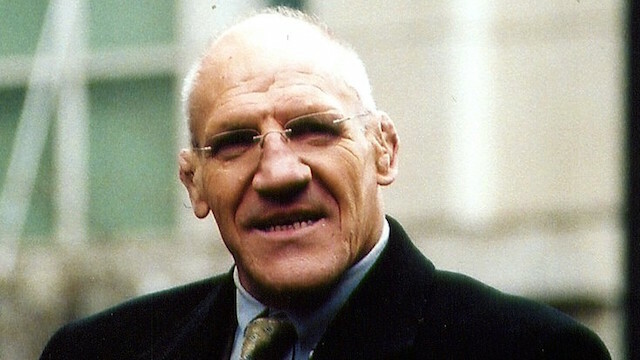 On his latest podcast Edge praised Bruno Sammartino again: "It feels like the end, the kind of end of an era in terms of, he's the biggest star of the WWF/WWE ever. I mean, you can say 'Stone Cold' and you can say Hogan, but if you're looking at MSG sellouts, if you're looking at... I mean, Bruno, man, was champ I think you're looking at, combined in two reigns, 11 years, like, 4,000 however many days. That doesn't happen nowadays. I think you had an entire culture, especially to Italians and immigrants coming over to this country, here's a guy who came over without anything and really made himself. It's just a classic underdog, everyman story, but more importantly than whatever the accolades are in wrestling, which are obviously numerous, stack up better to anybody's, to be honest, in meeting Bruno over the years, he was just a thoroughly classy, professional. He was just a classy, classy man and there's just no other way to explain it." Impact news: the original plan for Redemption last night was for Alberto El Patron to win the Impact World Title. Austin Aries is only working two of this week's Impact taping dates. Konnan did not appear on last night's show but he was backstage helping, and Sonjay Dutt was back in his usual production and creative role. (PWI) Also a video previewing this Thursday's new episode is below. * Will Stephanie McMahon continue to overrule Kurt Angle's decisions? * Could we soon have "Woken" Raw Tag Team Champions? Nine new WWE related videos are below. Here Jim Ross praises Ronda Rousey: "I thought Ronda Rousey's debut was the most impressive thing I've seen in pro wrestling in my 40-year career ... best debut I ever saw." * Tetsuya Naito, BUSHI, Hiromu Takahashi, EVIL, & SANADA vs. Minoru Suzuki, Lance Archer, Desperado, Kanemaru, & Davey Boy Smith Jr.
2:00 PM ET. From Chris Featherstone: "Hello, everyone. I recently interviewed Jerry Lynn and discussed a variety of subjects regarding his pro wrestling career. Here is the article and show link: https://www.thesportster.com/news/jerry-lynn-career-interview/ and http://www.blogtalkradio.com/pancakesandpowerslams/2018/04/11/pancakes-and-powerslams-episode-315--jerry-lynn. As always, thanks for your support!" In this interview Liv Morgan says she looked up to Lita (Amy Dumas) growing up: "I grew up in an unstable environment. If you look at my life on paper, I shouldn't be here. WWE was the only thing that made me and my brothers happy. Watching Lita, I'd see this red-haired chick with baggy pants and sneakers, and she's wrestling with the boys and is a tomboy. I was such a tomboy growing up. I liked baggy pants and sneakers. Even today, I wear tights and wear sneakers. Just looking at Lita, I felt like she could be my friend. She was someone I related to. That's all I want to do for girls growing up. I want them to see me and think, 'Liv can be my friend.' So, if I'm anyone's role model, it'd be very cool. I don't try to be anything I'm not. I'm just myself. If I can relate to anyone, or they can relate to me, it'd make me very happy." Here Braun Strowman says Vince McMahon is hands on with his character (gee what a shock): "Vince McMahon is a genius and he has been hands on with the development of Braun Strowman and all of the stunts that we do and the segments, and it's working. There is no 'ifs,' 'ands' or 'buts.' I am enjoying the process. I am having such an amazing time travelling around the world, entertaining my fans and seeing the kids and everything. It is really humbling to me. I am a country boy in a little small town of Sherrills Ford, North Carolina and I have an unbelievable job. Every big stunt that you have seen, McMahon has been there. It's funny, because a couple of times we have had to edit him out because he'd make the accidental Stan Lee appearance in the thing, and you see him stepping out, but yeah, he steps out from meetings and everything and tries to go out there and tries to put RAW together and make sure everything is perfect in how he wants it, which is why it is working." For those interested BOOM! Studios is working on an Undertaker graphic novel. A new NWA "Ten Pounds of Gold" video is below. 5:00 PM ET. Roman Reigns wants to face Daniel Bryan at WrestleMania next year: "It's difficult. The last few years have been a roller coaster of sensations, a great opportunity, but I think I'd like to face Daniel Bryan again. I do not see much of the talents of SmackDown, but I know that he has a medical discharge and that if his health respects him it could be a great match for next year at WrestleMania. Daniel Bryan vs. Roman Reigns. But if it can not be, then I'd like to face the rest of The Shield, Seth and Dean again, I think it would be great too." In this interview Baron Corbin talks about WWE going to Saudi Arabia: "WWE really likes to connect with all walks of life from all over the world. I think that is what is special about WWE is that it doesn't pick sides or anything. It's the simple story of good versus evil, your journey to overcome the villain. I think no matter what language you speak or religion or color of the skin, none of that matters. I think people can connect to the simple story of good versus evil and the characters we offer. Going over there is such a cool thing because it brings people together." Here Samoa Joe talks about the SoCal wrestling scene: "I think a lot of people in the southern California scene you're finding at the forefront of the industry. I feel like at times when certain areas explode. Southern California had a big explosion with myself, and even though he's a Washington guy, he burst on the scene in California - I'm talking about Daniel Bryan, and Shinsuke Nakamura was a Los Angeles Dojo guy. A lot of the guys that came out of the Southern California area are really... if they haven't made it in the forefront of the industry, they are definitely out and about so it's pretty cool."